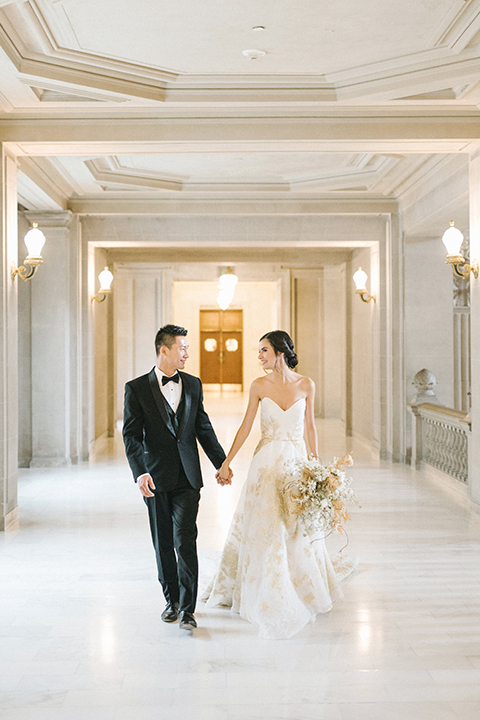 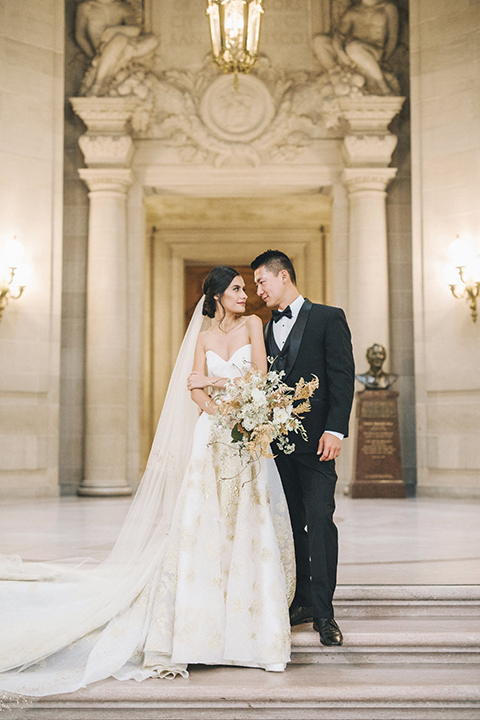 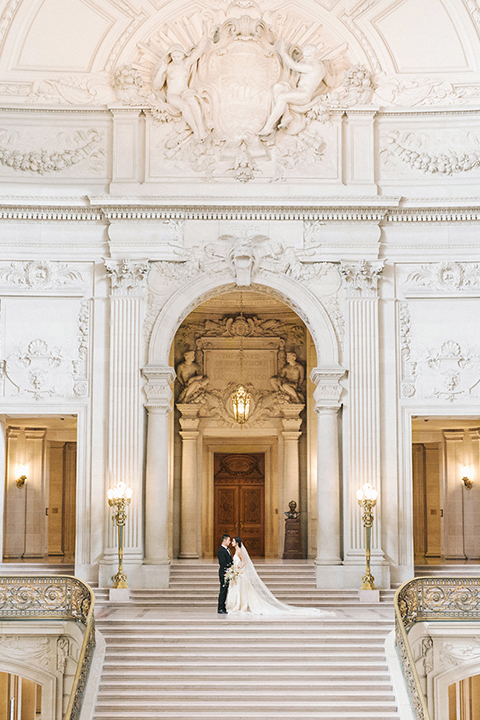 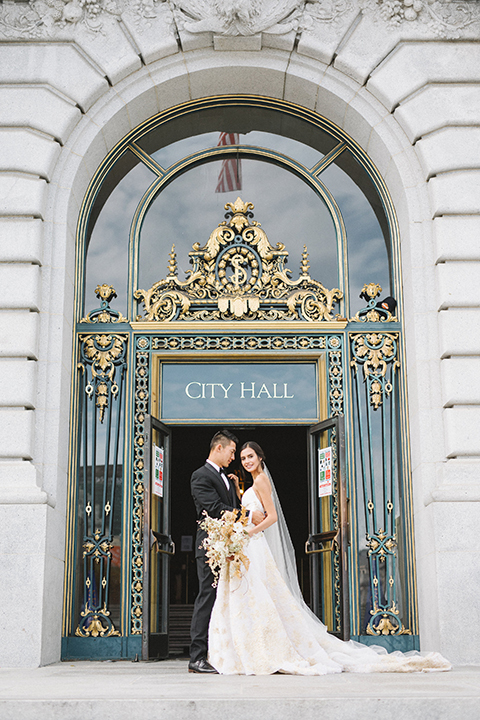 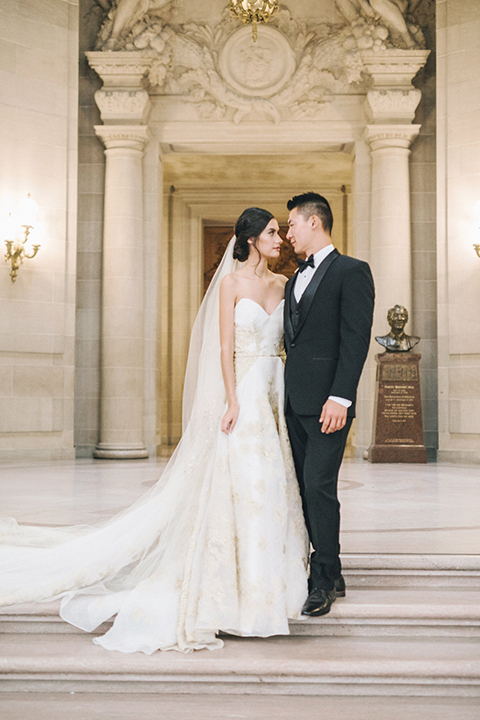 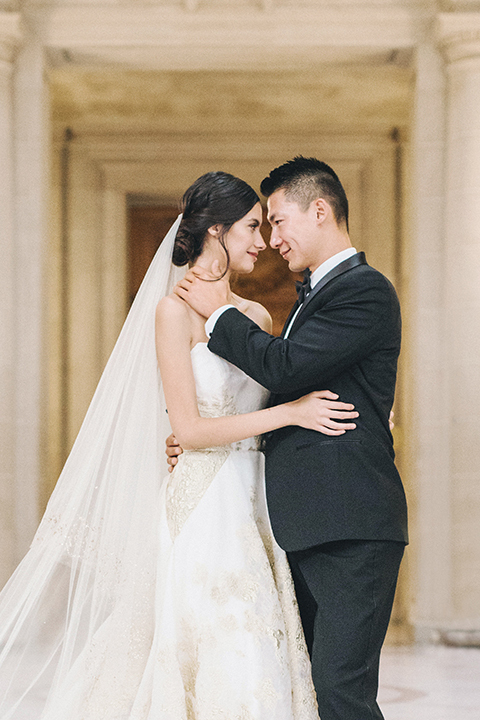 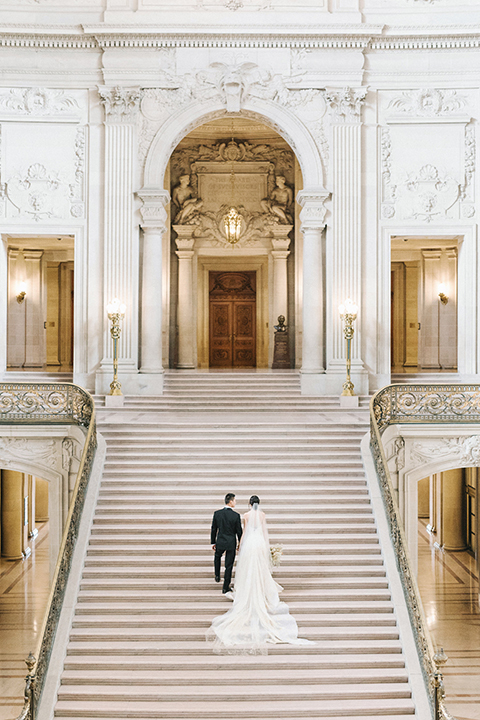 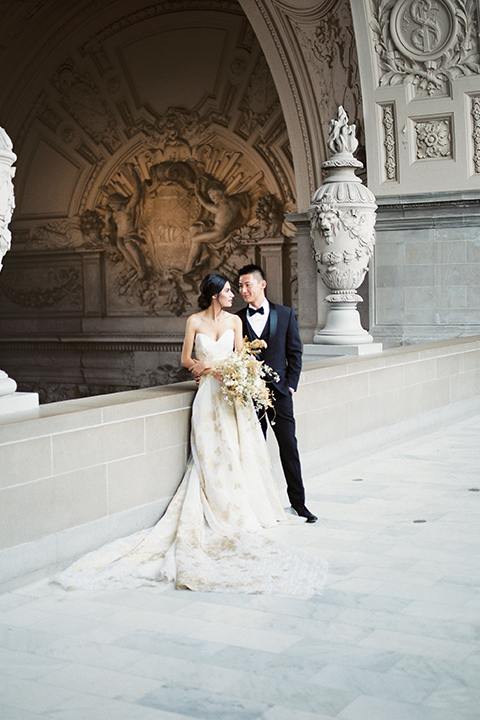 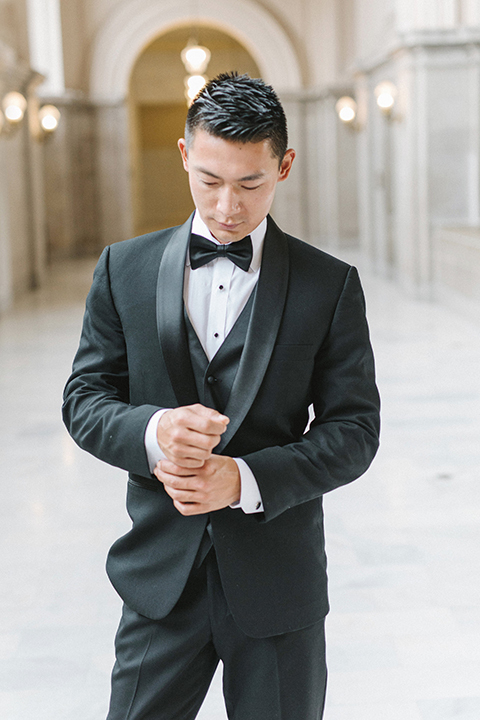 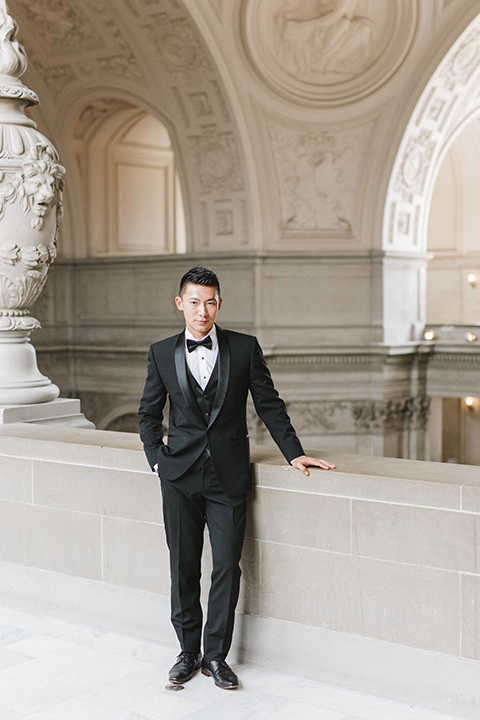 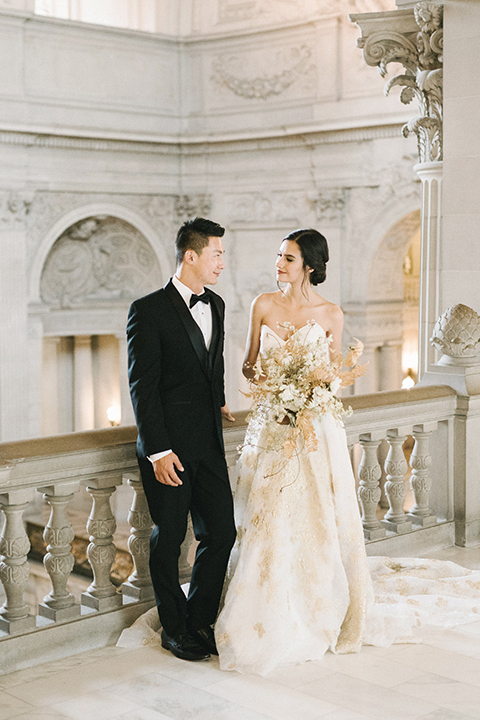 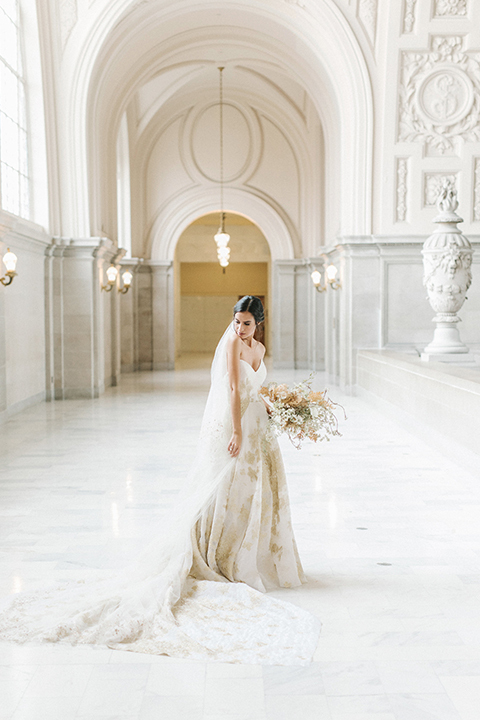 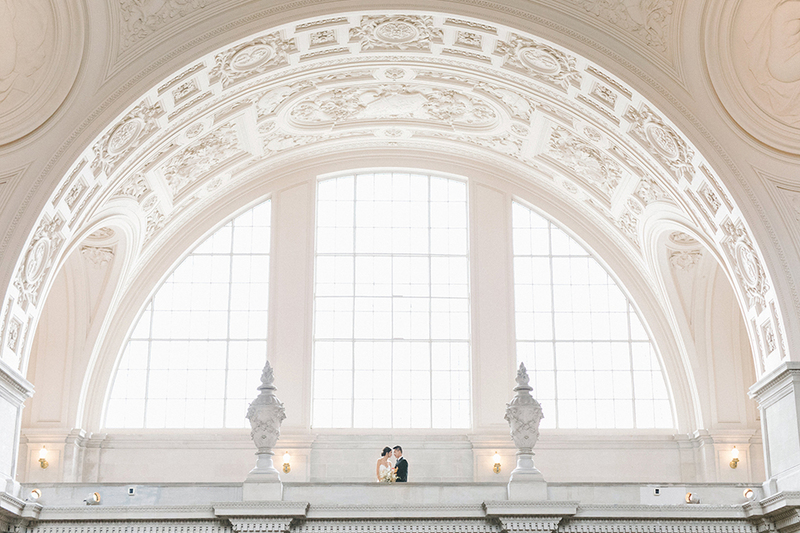 Gold was a huge trend at the recent 2017 Bridal Fashion Week in New York, and it might be the perfect color choice for an indoor wedding - as evidenced by this wedding editorial at San Francisco City Hall. 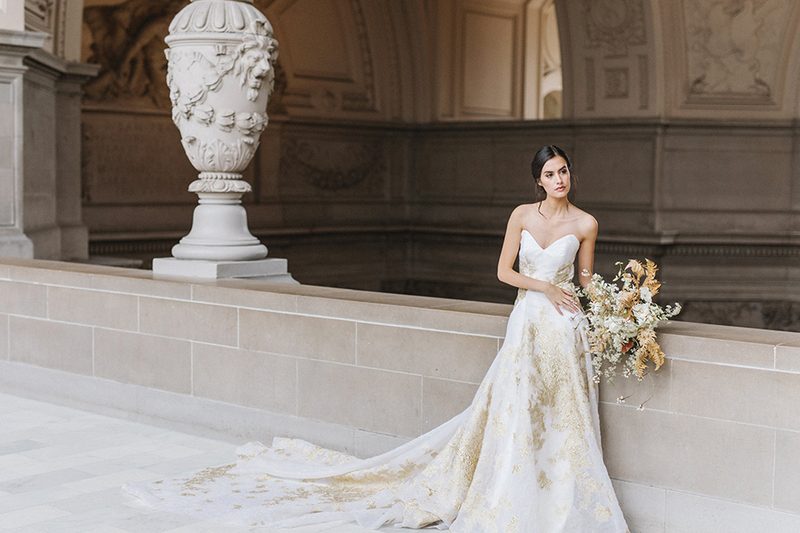 Our main source of inspiration was the amazing gold-woven Centaurea gown, which recently debuted in Carol Hannah's 2017 collection. 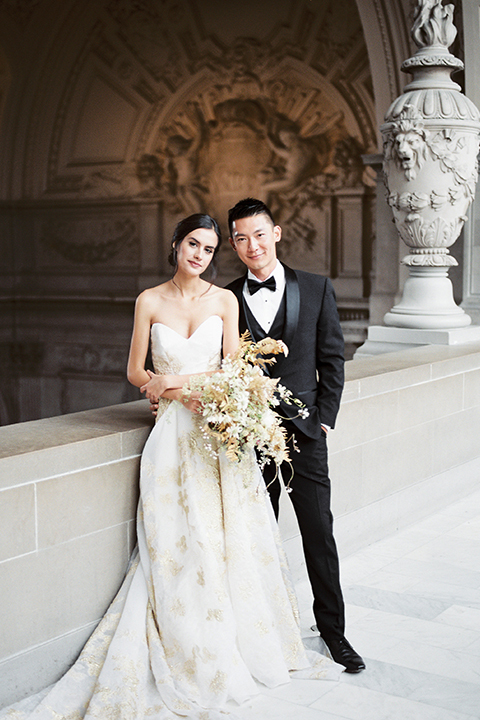 The gown was accented by a gold-flecked veil from Carol Hannah's accessories line. 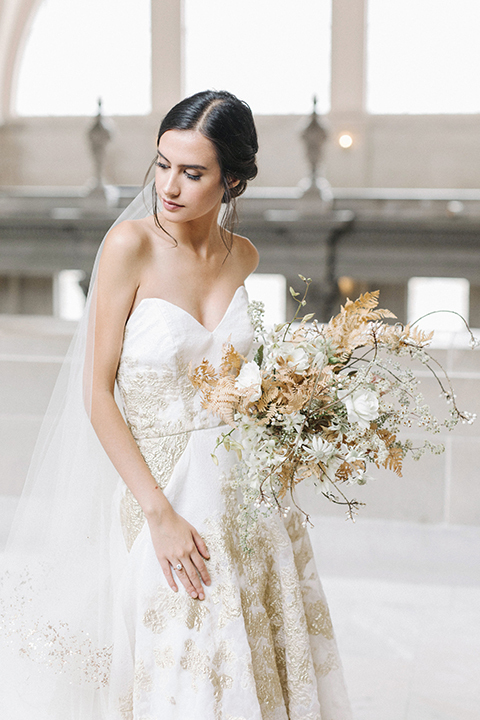 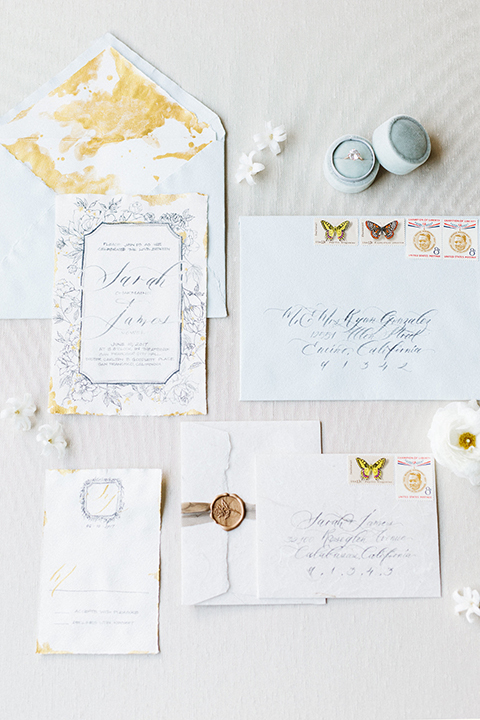 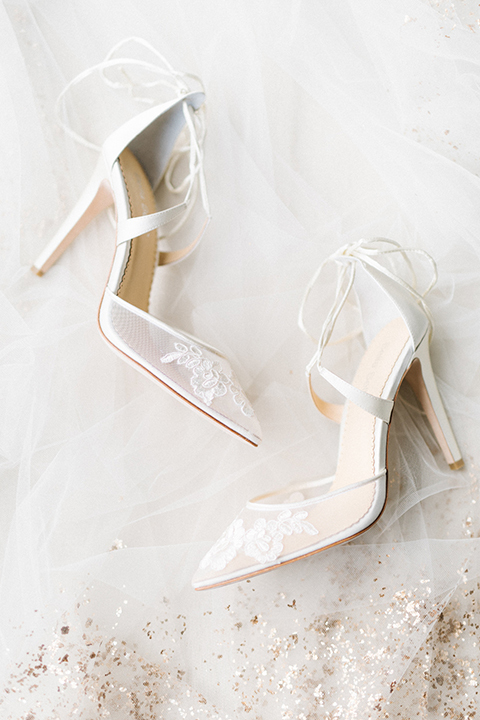 Gold was reflected in every aspect of the shoot, designed and styled by Chloe+Mint. 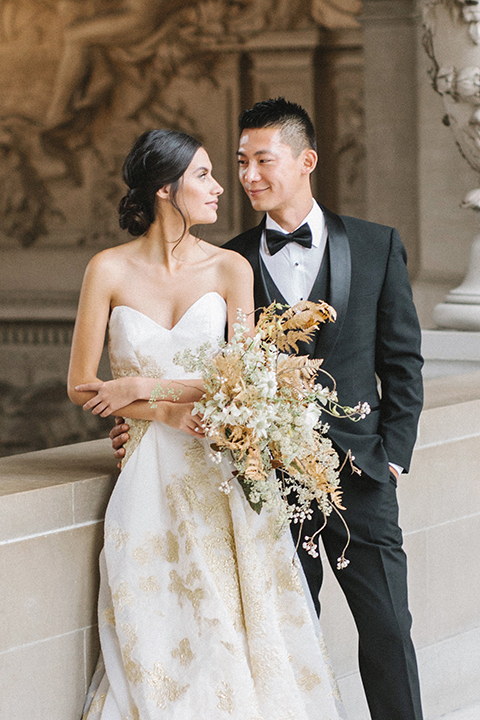 The Bloomery Co. Crafted a stunning bouquet that featured golden dried foliage as a substitute for traditional greenery, and the invitation suite from Seniman Calligraphy was crafted with flecks of gold foil. 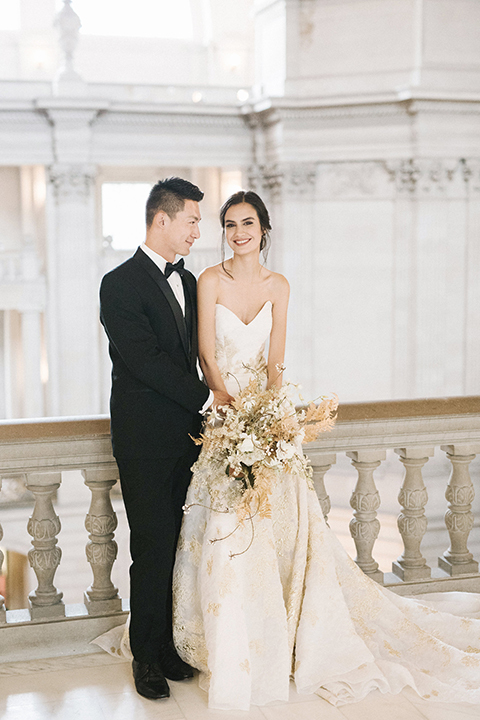 Angela Nunnink opted to keep the makeup fresh and simple to complement the decadence of the gown and veil. 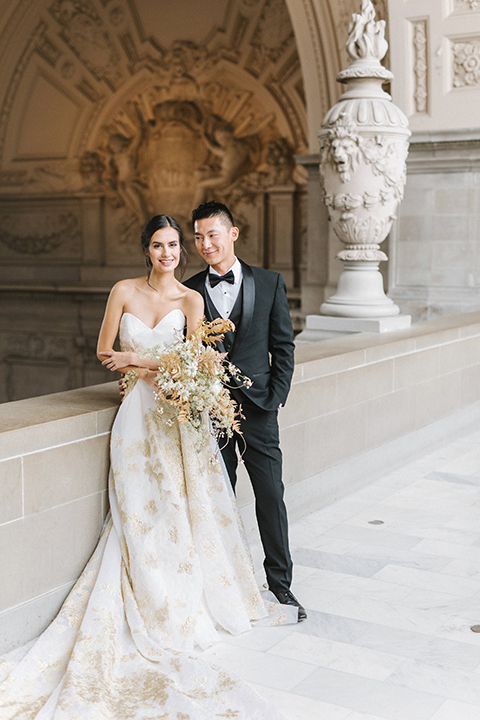 We couldn't be more thrilled with how it all came together, and we hope it will inspire brides to go with gold for their weddings.